Americans are inundated 24/7 with an abundance of propaganda. Thank Hussein Obama. 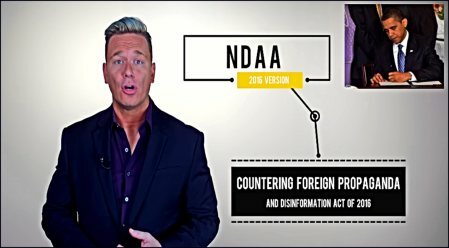 Published on Aug 14, 2018 by The head of the NSA says that the United States is engaged in a war of “weaponized information” with China and Russia… but what about the fact that it is legal for the U.S. government to propagandize its own people? Lets give it a Reality Check. Of course they can and do. I was paid to do so by the United States Army during Vietnam.